Honey + Sriracha Chicken Thighs Healthy. Delicious. Sticky Honey Sriracha Chicken Drumsticks make the perfect easy dinner. Best of all, they are loaded with zesty Asian flavors full of honey, soy, lime and a fiery hint of sriracha. 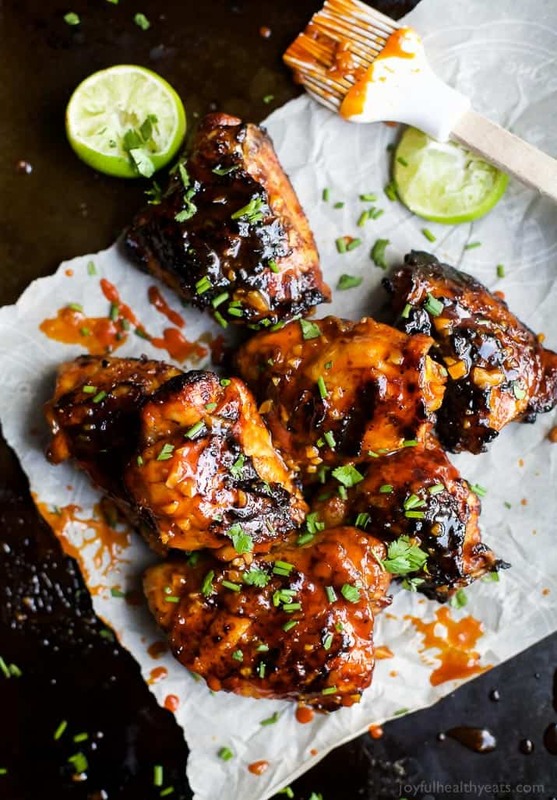 Best of all, they are loaded with zesty Asian flavors full of honey, soy, lime and a fiery hint of sriracha.... A honey, hoisin, and Sriracha sauce make these Sweet and Spicy Sriracha Chicken Thighs exactly that: a little sweet and a little spicy and also a whole lot easy! These sweet and spicy chicken thighs are like a cross between roast chicken and hot wings. For the best results, use organic or all-natural chicken. For the best results, use organic or all-natural chicken. 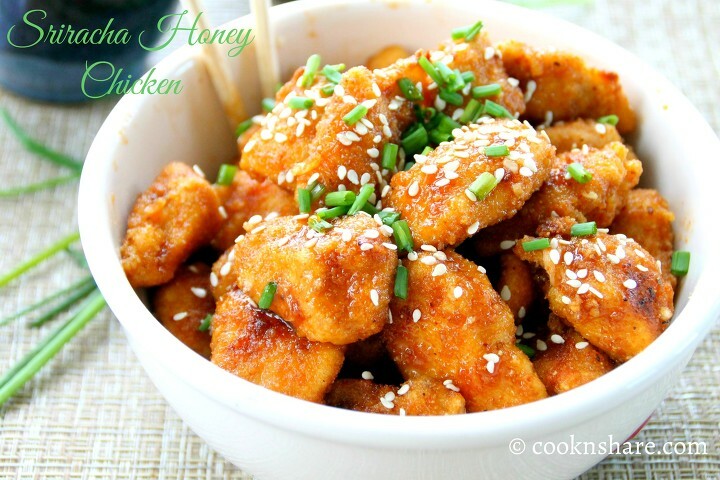 Honey and sriracha is a perfect balance of flavors. These grilled chicken thighs are super moist and tender. Perfect for summertime grilling, I love serving it with coconut rice and a side of veggies. Combine honey, butter, sriracha sauce, and soy sauce in a saucepan over medium-low heat; cook and stir until butter is melted and sauce is smooth, about 5 minutes. Pour sauce into a large bowl. Transfer chicken from the baking sheet to the bowl using tongs; toss until coated with sauce. Mix sriracha sauce, honey, lime juice, lime zest and fish sauce together in a bowl. Mix chicken thighs with sauce mixture. Leave in fridge to marinate overnight.